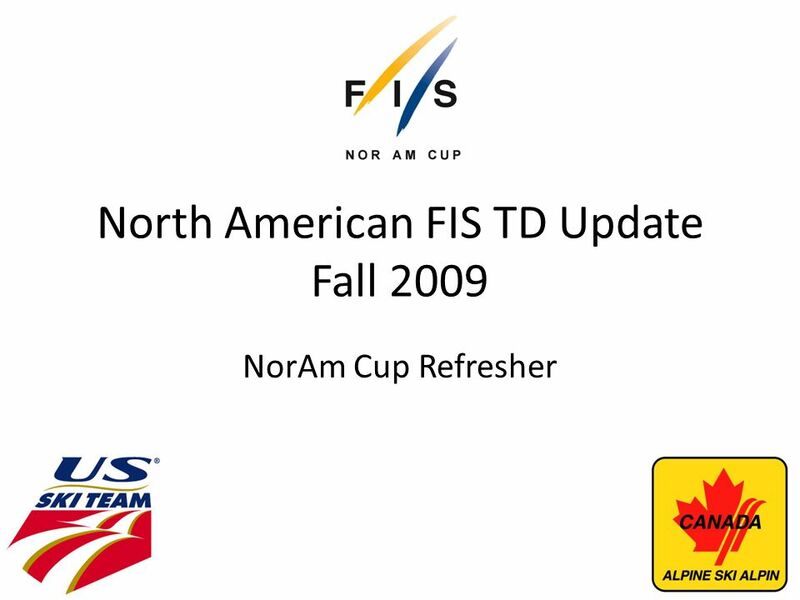 North American FIS TD Update Fall 2009 NorAm Cup Refresher. 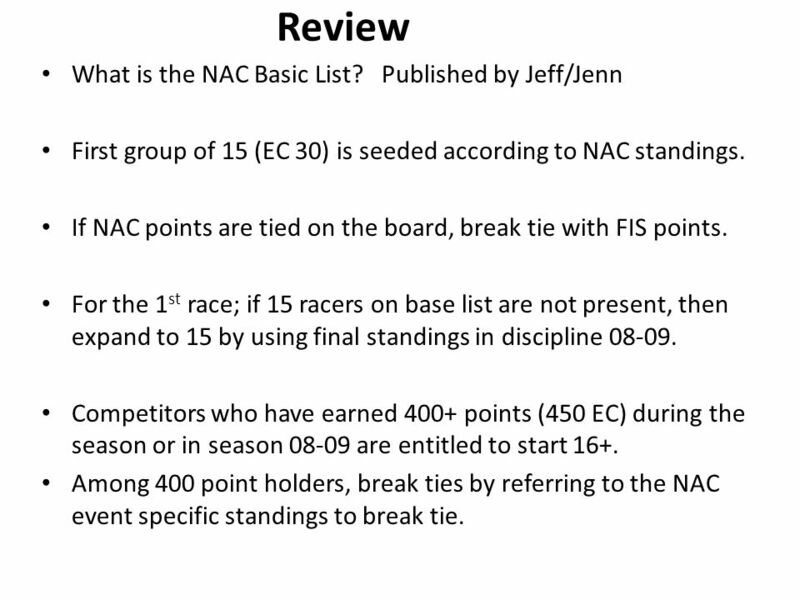 14 Review What is the NAC Basic List? 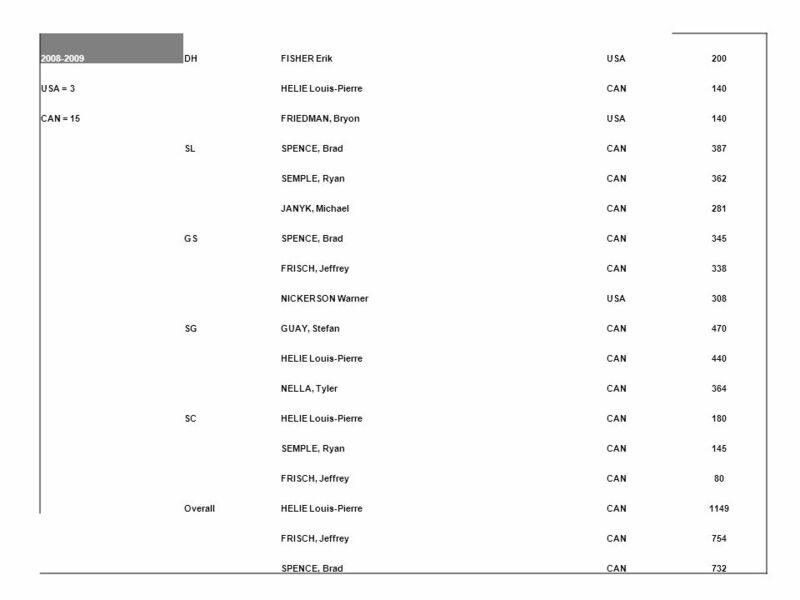 Published by Jeff/Jenn First group of 15 (EC 30) is seeded according to NAC standings. 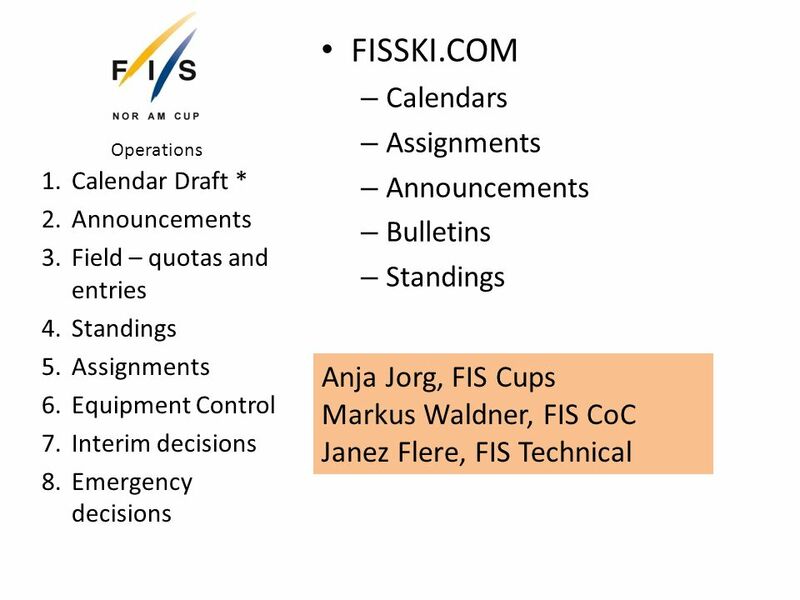 If NAC points are tied on the board, break tie with FIS points. For the 1 st race; if 15 racers on base list are not present, then expand to 15 by using final standings in discipline 08-09. Competitors who have earned 400+ points (450 EC) during the season or in season 08-09 are entitled to start 16+. 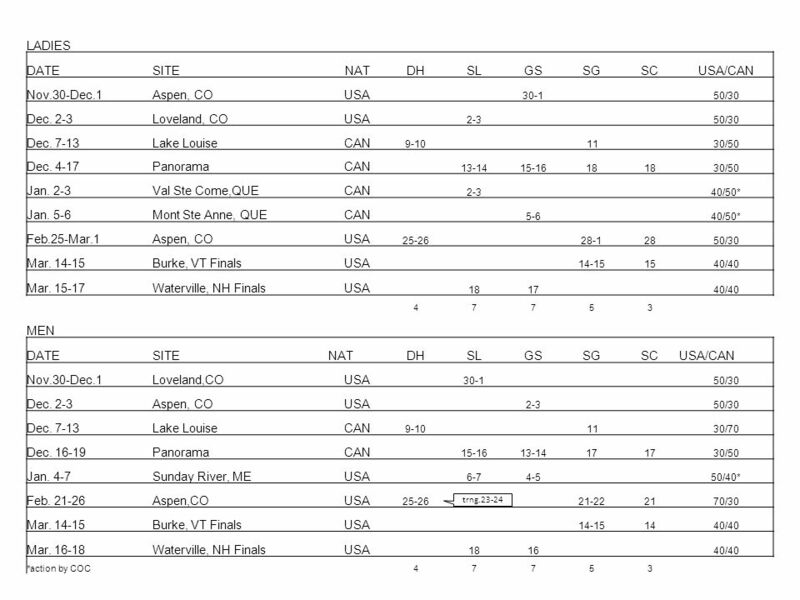 Among 400 point holders, break ties by referring to the NAC event specific standings to break tie. 15 Review Winners of other COC events who are not ranked within top 30 are entitled to start as 31. 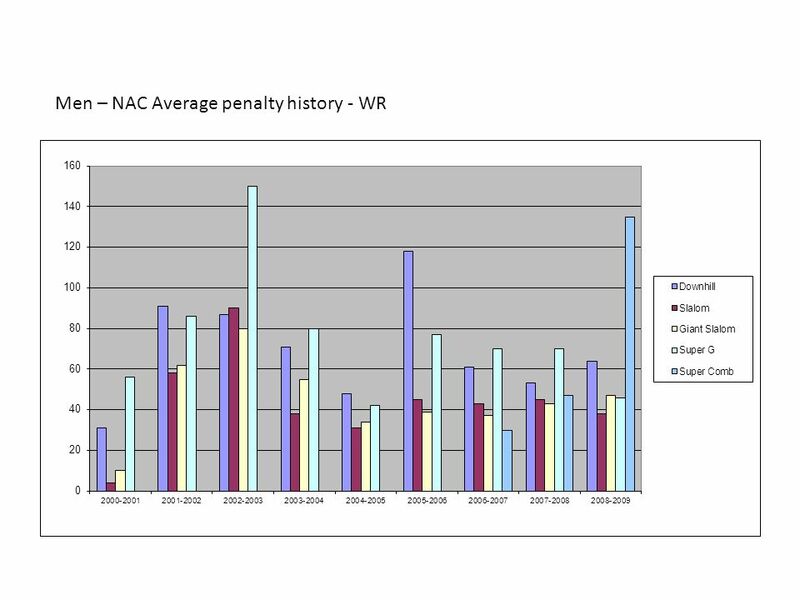 NAC standings are updated after each event. 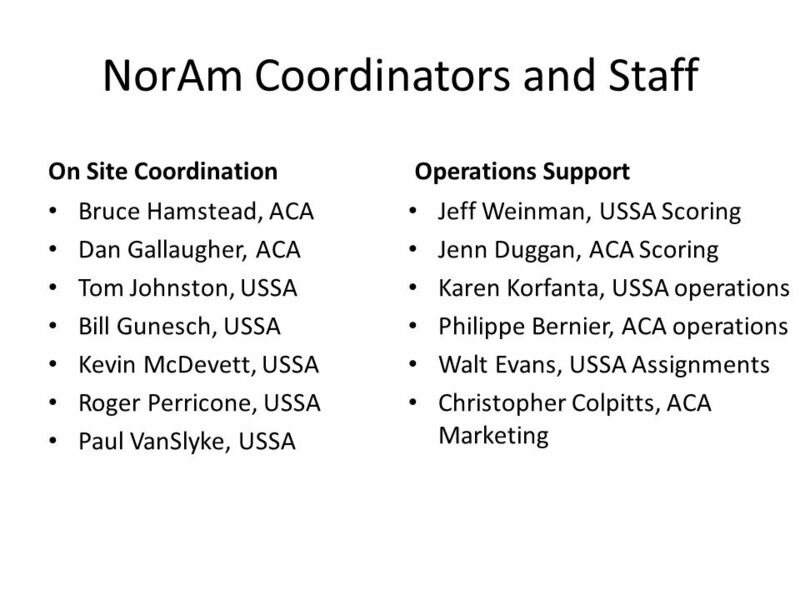 Jenn (ACA) and Jeff (USSA) are the official standings keepers. 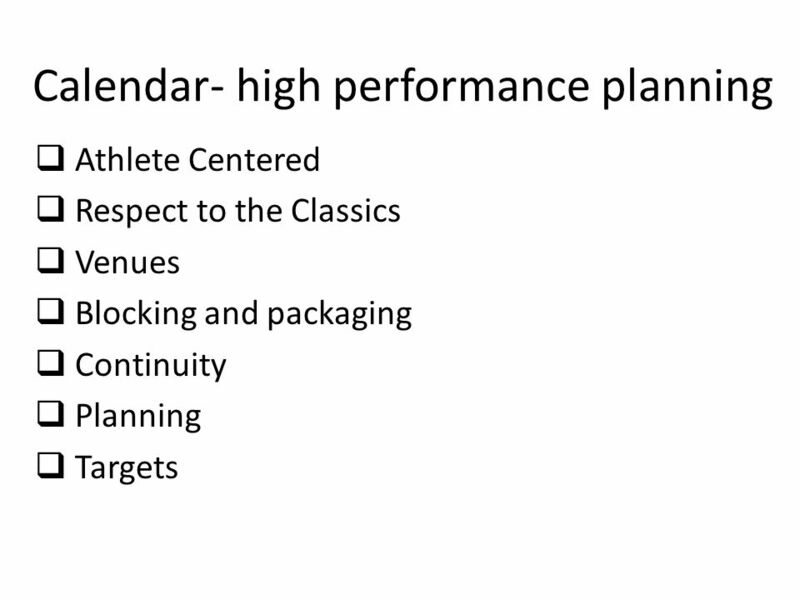 They must get ELECTRONIC RESULTS immediately after the protest period to score the event to validate the next days start list. 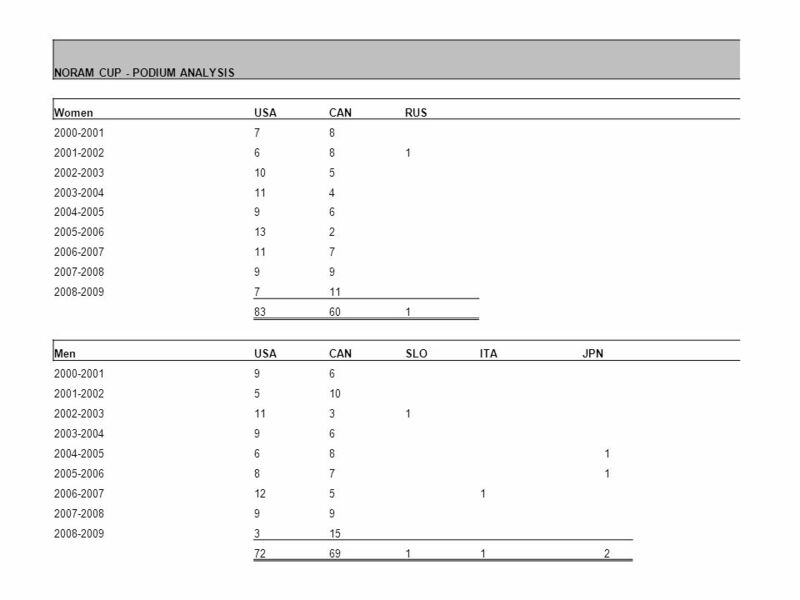 After the 3 rd NAC event in discipline, the basic list is no longer used and the standings are based on the sum of points in discipline for the current season. 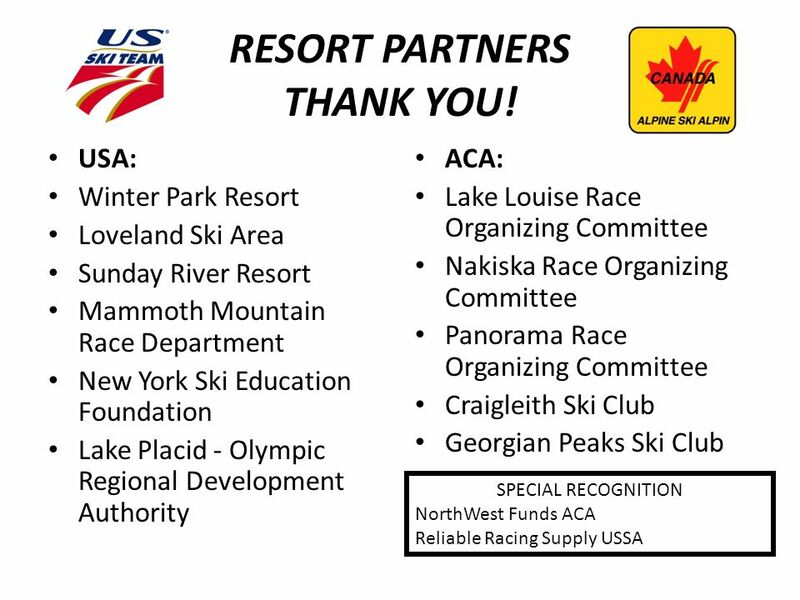 USA NC DH 2/27/10 will include up to 30 per gender from ACA. 16 REVIEW CLARIFICATION 1. 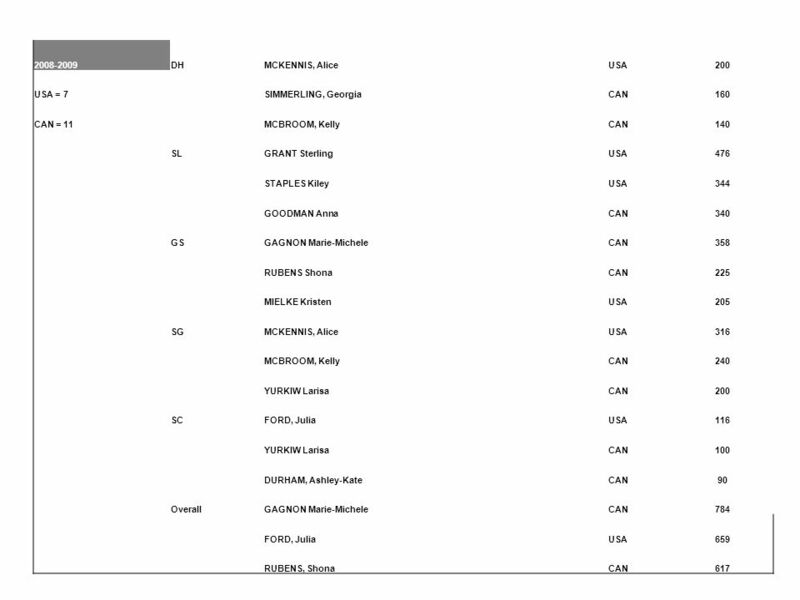 First group of 15 (EC 30) is seeded according to NAC standings. CoC 3.1 and NAC 3.1 - no change 2. 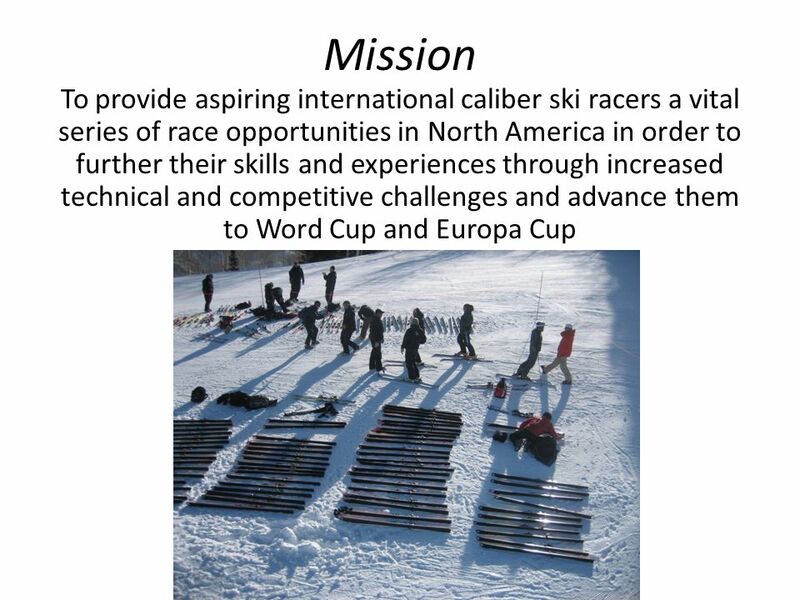 Competitors who have earned 400+ points (450 EC) during the season or in season 08-09 are entitled to start 16+. COC 3.2.1 needs corrected to reflect 400 points. NAC 3.2 is correct. 3. 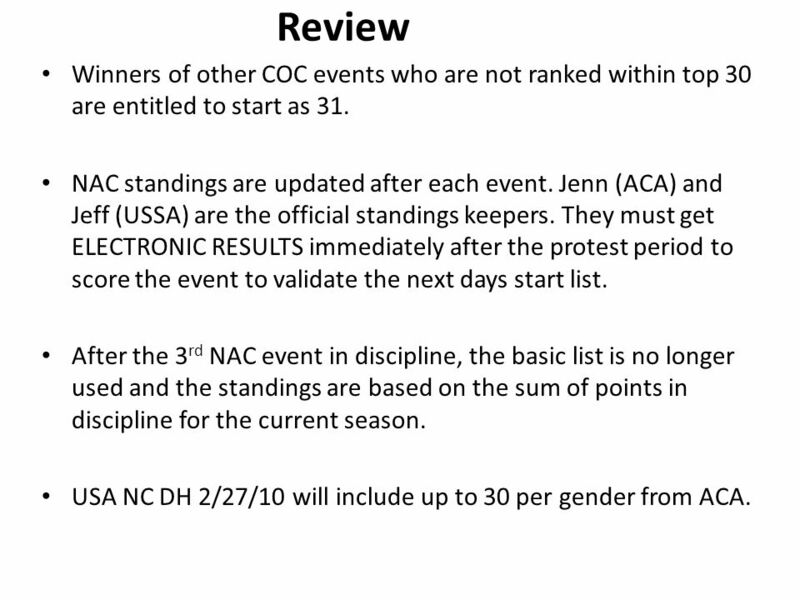 NAC 3.1 Super Combined seeding- All of the NAC SC events must be seeded on NAC SC standings. NAC 3.1, last sentence re: exception is incorrect. 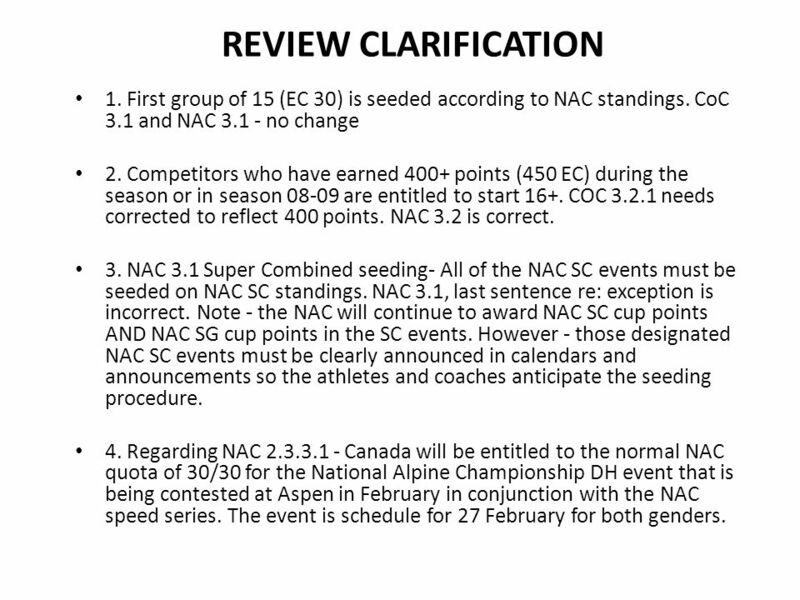 Note - the NAC will continue to award NAC SC cup points AND NAC SG cup points in the SC events. 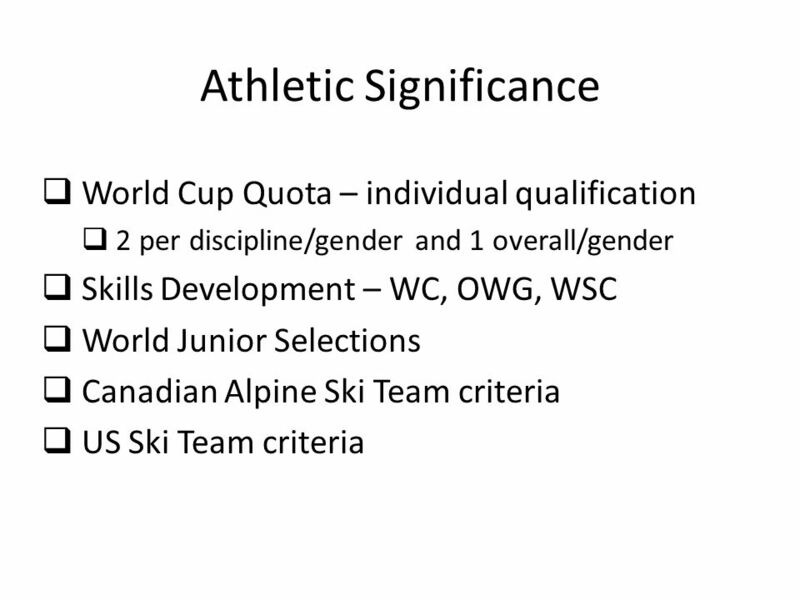 However - those designated NAC SC events must be clearly announced in calendars and announcements so the athletes and coaches anticipate the seeding procedure. 4. 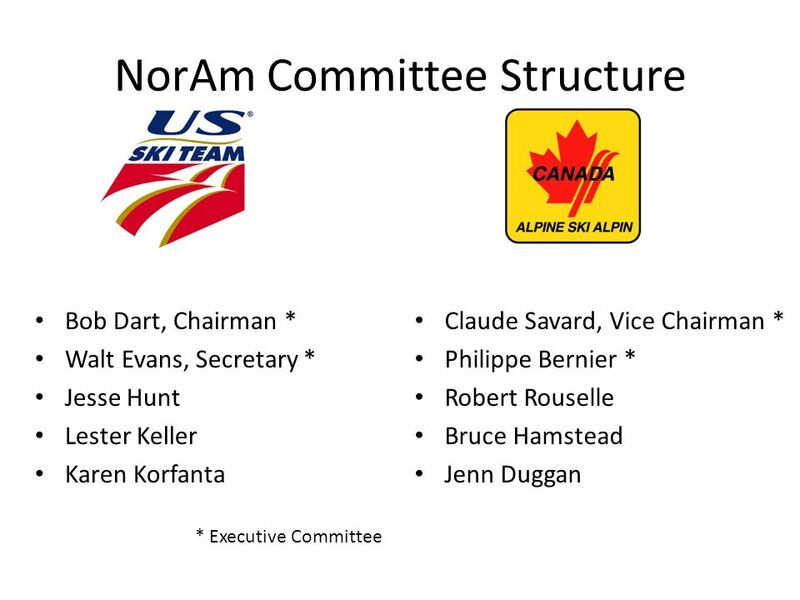 Regarding NAC 2.3.3.1 - Canada will be entitled to the normal NAC quota of 30/30 for the National Alpine Championship DH event that is being contested at Aspen in February in conjunction with the NAC speed series. The event is schedule for 27 February for both genders. 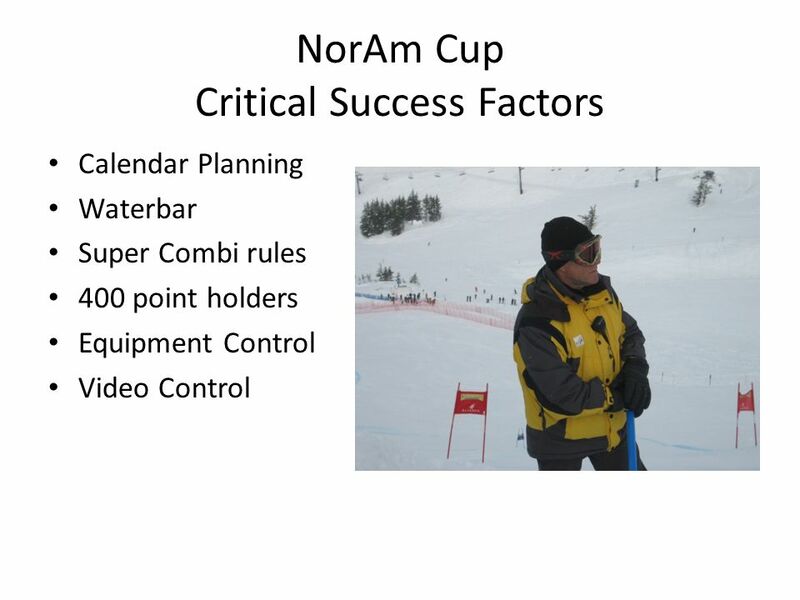 Download ppt "North American FIS TD Update Fall 2009 NorAm Cup Refresher." 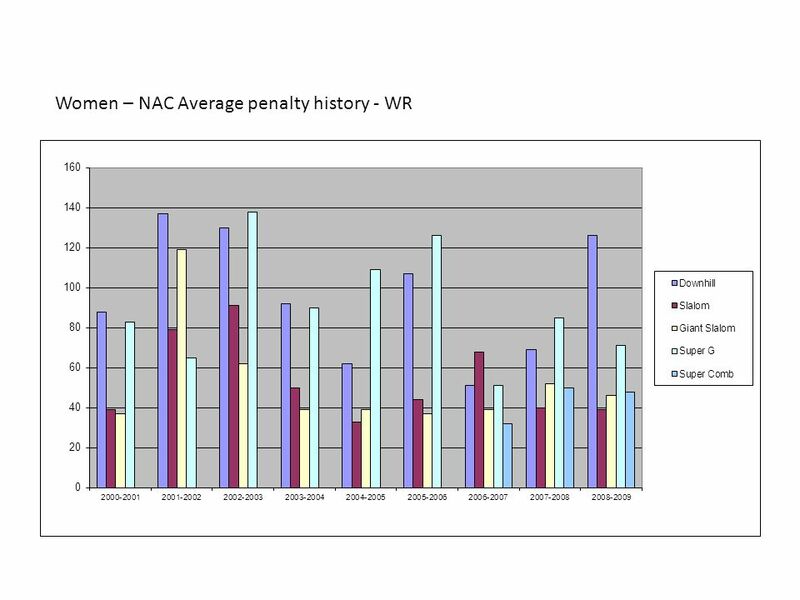 Worldwide TD Statistics Eric Henry AUS. Terms. 1. Globalization 2. Financing 3. Inputs.